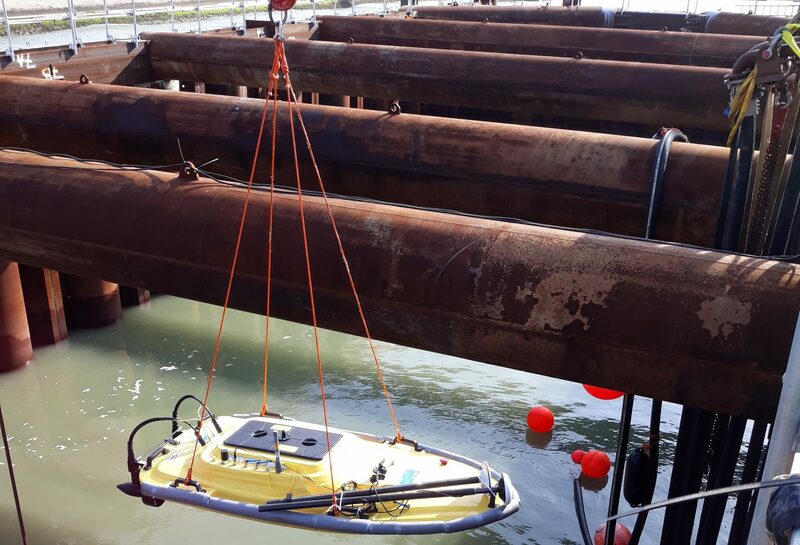 For the construction of Belgium’s first moveable flood barrier at Nieuwpoort, a certain depth with a level surface needed to be attained. 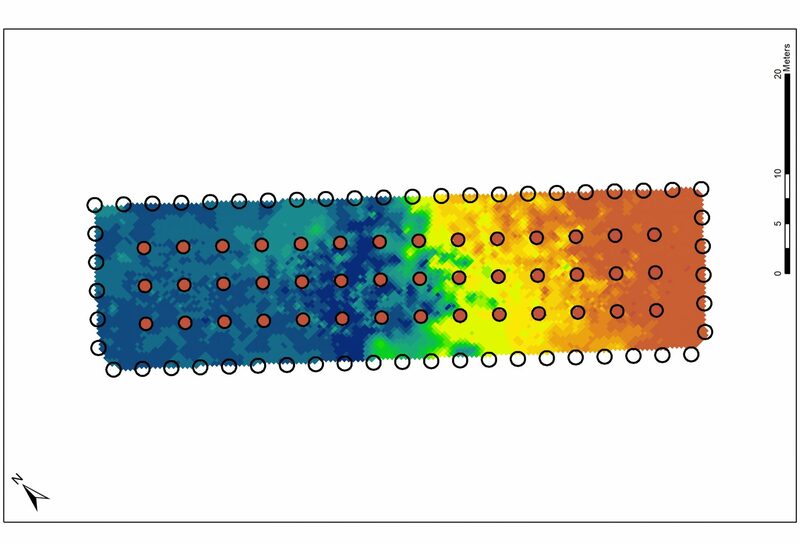 In order to accurately know the dredging progress, Aqua Vision was asked to measure the bathymetry. 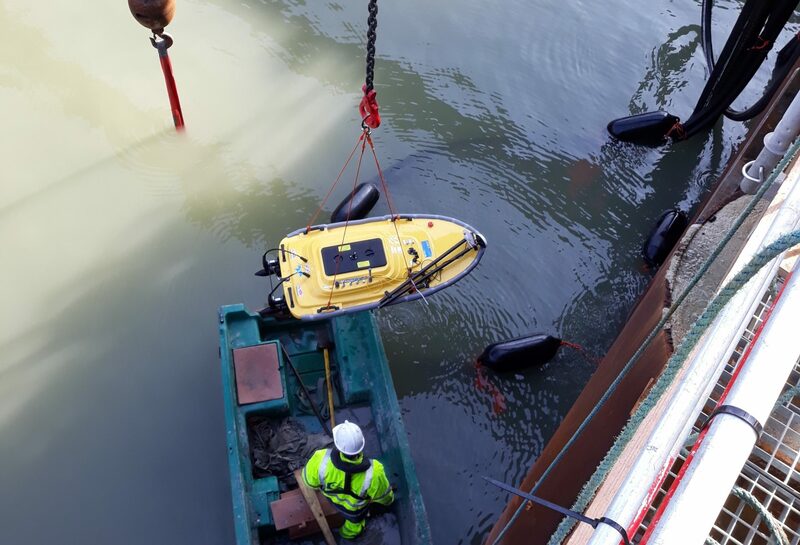 The radiographic navigable Q-boat, equipped with a RiverPro ADCP, is ideal for these measurements, as it can be lifted into the construction pit using the construction crane. 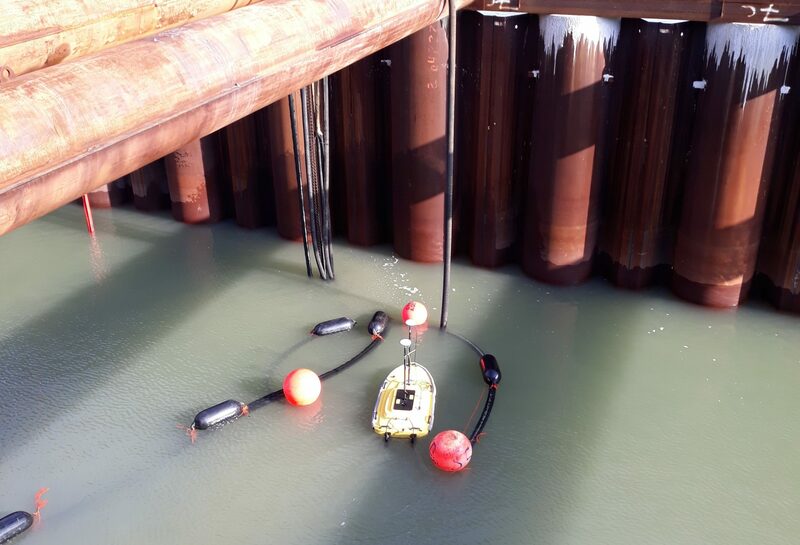 The vertical beam of the RiverPro made sure no signals were reflected on the submerged construction pit walls. The restricted reception of GPS signals due to the 10 meter high construction pit walls was overcome by an elevated GPS receiver.